Team TKE prepares to fight and dodge. The FMU Intramurals held a dodgeball tournament in the Smith University Center (UC) on Tuesday Jan. 15 at 4:00 p.m. The competition saw several teams vying for the title of champion with a variety of students coming together to compete. After several rounds, ‘OTF’ claimed victory against TKE in the championship match and took home the title. The teams came from a wide range of FMU’s student population. One such student was Ryan Gurganious, a freshman who played for the TKE fraternity team. Gurganious managed to make a 1-on-4 comeback in the first match of the afternoon. With a background in baseball, Gurganious explained his mindset pertaining to sports. Freshman Phillip Dodd, a graphic design major, said he was recruited by fellow students and spoke about the openness of the events. “I like the fact that it is more open to people who feel that they are not good enough for competitive sports,” Dodd said. The FMU Intramurals coordinators sought to keep the event lighthearted and accessible for students of various athletic backgrounds. Derrick Young, the director of campus recreational sports, said the intended purpose of the Intramurals is to get students more involved and create community. 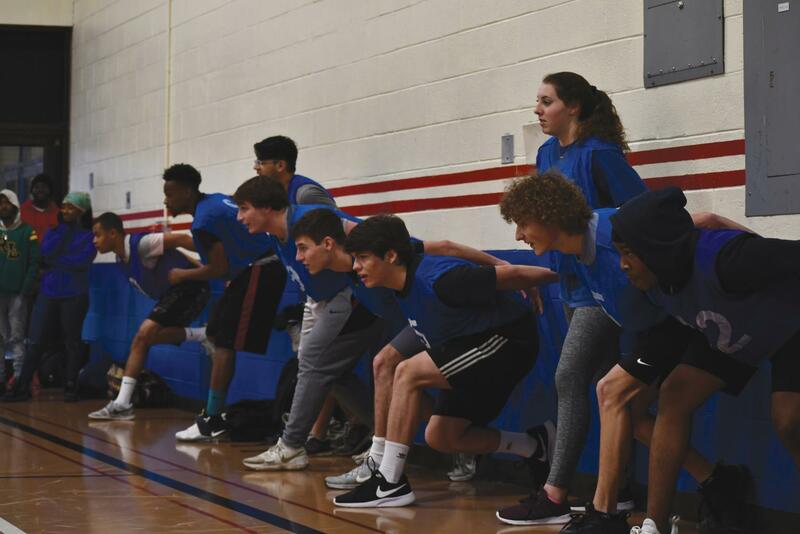 Senior Amanda Wagner, the FMU Intramurals coordinator, explained how the games were geared toward accessibility for students who are unable to commit to a competitive team due to time constraints. She also encouraged students to make connections through the intramurals. Wagner advised students to attend future events, such as the Patriot Games, which will take place during the week of Feb. 18. This will happen during FMU Homecoming week and will feature a myriad of games such as barrel toss, trivia and more. Students will also have the chance to earn various prizes such as engraved plaques and an assortment of FMU merchandise. Students who would like to learn more about upcoming events and dates are welcome to follow FMU Intramurals on Instagram at fmu_intramurals. Future matches and tournaments will be held on Monday-Thursday from 4:00-5:00 p.m. in the Smith University Center.